What started off as a promising day out at Casey Fields ended in disappointment for Footscray, with the Bulldogs going down to the Scorpions by 70 points in the First Qualifying Final. Signs were good early, with Declan Hamilton kicking his first of three goals within minutes of the first bounce. Mitch Hannan and Lukas Webb got the next two, but on closer inspection signs were ominous. Casey had a clear lead on the inside 50 count midway through the term and pinched two late quarter goals to be within three points at the first break. From there it was goal for goal, Hamilton adding two more to his tally, and the difference just eight points once the half time siren sounded. But the Dogs’ day took a nose dive from there, the ‘Scray held goalless in the third while Casey slammed on five straight. Footscray came out in final term determined to earn the week off and a spot in the Preliminary Final, with Mitch Honeychurch and Brad Lynch offering some hope to the big red, white and blue contingent that had made the trip out to Casey. But it wasn’t to be, the Scorpions piled on eight goals from ten attempts in the last quarter to run out 70-point winners. 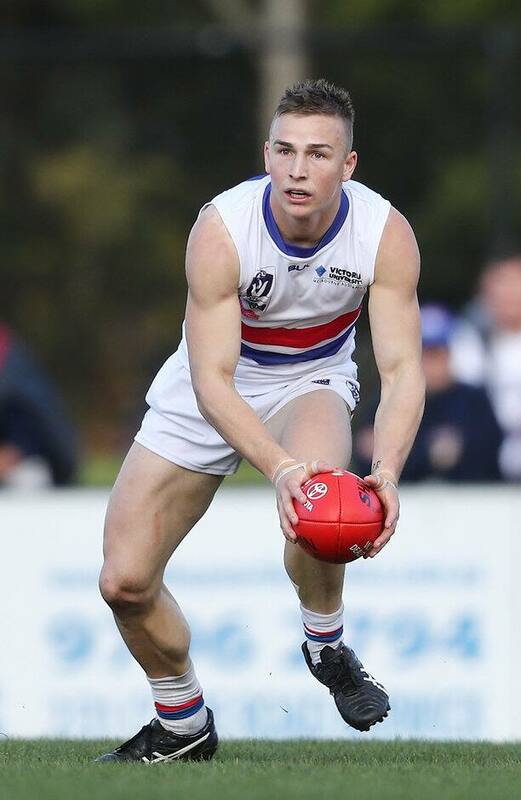 Mitch Honeychurch was prolific for Footscray with 32 touches, six inside 50s and six tackles, while Lukas Webb had 25 and five tackles. The Bulldogs will now face Essendon in a Semi Final next weekend at North Port Oval. Goals: Hamilton 3, Webb, Jamieson, Adcock, Greenwood, Hannan.